A reminder of what most of our planet is made of. Volcano, lava spreads across road, Hawaii, May 2018. 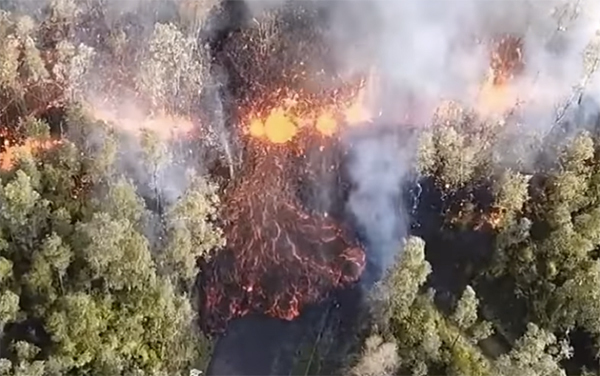 The lava has reached Leilani estates. Rock and ash are being thrown into the air. Evacuations are underway. There has been some warning. Small earthquakes have been occurring. Cracks appearing in roads.